To celebrate 10 years of bringing couples closer together, we’ve paired two of our most loved products, Sync™ and Tango, together in an exclusive travel-ready play case. We-Connect, the app that brings couples together. Get the FREE We-Connect app and play, even when you’re apart. Plus, unlock more product features. Download the free We-Connect app from the App Store or Google Play. 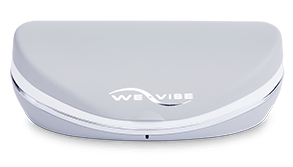 Pair your We-Vibe and your smartphone. Send your lover an invite to connect. Join your lover in the app. Touch, tease and turn her on from anywhere in the world. 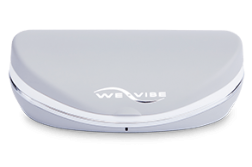 Compatibility: We-Connect is compatible with iOS (7 or newer) and Android (4.3 or newer) Bluetooth® Smart Ready (Bluetooth 4.0) products.